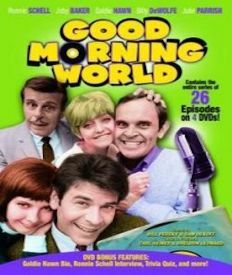 Antenna TV, Tribune Broadcasting's multicast network is pleased to announce beginning January 2, 2017, The Joey Bishop Show and Good Morning, World will join Antenna TV's schedule as the network continues to expand its programming lineup. The Joey Bishop Show starred Rat-Pack member Joey Bishop as Joey Barnes, a harried talk show host. 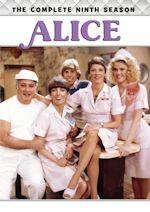 Executive produced by Danny Thomas, the 30-minute sitcom originally aired between 1961-1965 and Antenna TV is thrilled to add the show's entire four seasons to its lineup, including the 32 episode first season (in black & white) which was transferred from 35mm film to make its debut on Antenna TV. 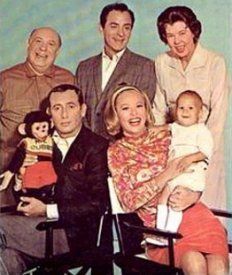 Good Morning, World starring Ronnie Scnell (Gomer Pyle) featured Goldie Hawn in her first television series, set at a Los Angeles radio station. 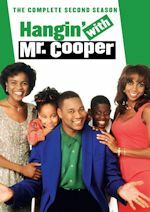 Created by Carl Reiner and featuring LA Dodgers broadcaster Vin Scully as the voiceover, the sitcom aired from 1967-1968. Earlier this year, the network brought Johnny Carson back to late night with a 60-minute classic Carson episode airing weeknights and a 90-minute episode on weekends, marking the first time Carson is airing in strip since he signed off in 1992. 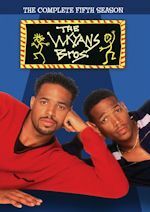 This year, Antenna TV also added Webster, Wings and The Addams Family to its program lineup. In 2017, Becker, What's Happening! 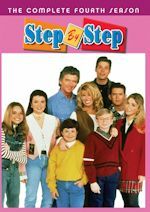 !, My Two Dads, Alice, Growing Pains, 227, Hogan's Family, Head of the Class and Murphy Brown will join the network during the year. Antenna TV currently airs in 129 TV markets across the U.S. reaching 87% of TV households. 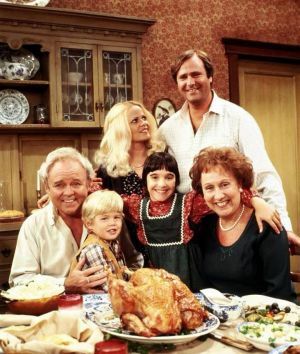 Antenna TV regularly airs All in the Family weeknights at 9pm ET / 6pm PT.